Whether it’s a matter of load capacity, size, or budget, sometimes you need something that operates at a smaller or more precise scale than a 4 post lift. No one understands the variety of lift applications better than Lift King, so when it comes to 2 post models, we’ve got you covered! 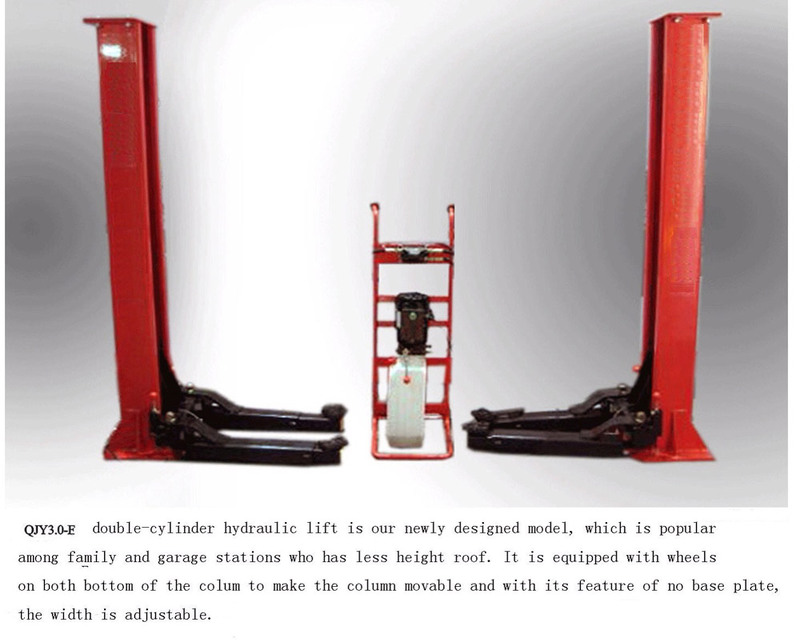 As the name would suggest, the central distinction of a 2 post lift is that it’s anchored to the ground at two points, lifting the vehicle along a pair of columns rather than four. Two post models will also engage the vehicle at its frame rather than its wheels, using an arm system designed either in a symmetrical or asymmetrical pattern. An asymmetrical 2 post lift will prevent door damage, as the rear arms are longer than the front ones. This allows you to park the vehicle in such a way that the doors will not swing into the columns and land you with nasty dents. 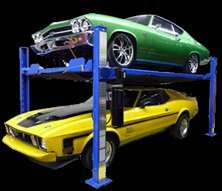 In terms of practical factors, one of the key strengths of a 2 post lift is that it streamlines the way in which you load vehicles in and out for repairs and maintenance. On top of allowing full access to the wheels and underside of the vehicle, 2 post lifts excel at a quick drive-in approach to auto work. You can drive swiftly into position, engage the frame with the arms, lift the vehicle, get the job done, lower the vehicle, and drive it out again. The smaller scale of a 2 post lift also means excellent portable options, such as our 6,000 lb capacity Porta Power. The economic accessibility and size factor of this lift type are ideal for residential garages, whether for storage or personal repair and maintenance. Practical factors are also important to bear in mind. Maybe you’re a small-scale professional garage with limited space, or you simply need a compact solution to complement a larger 4 post model without losing out on load capacity. The affordable-yet-formidable Pro King 10/2, for instance, may be exactly the kind of middle ground you’re looking for! 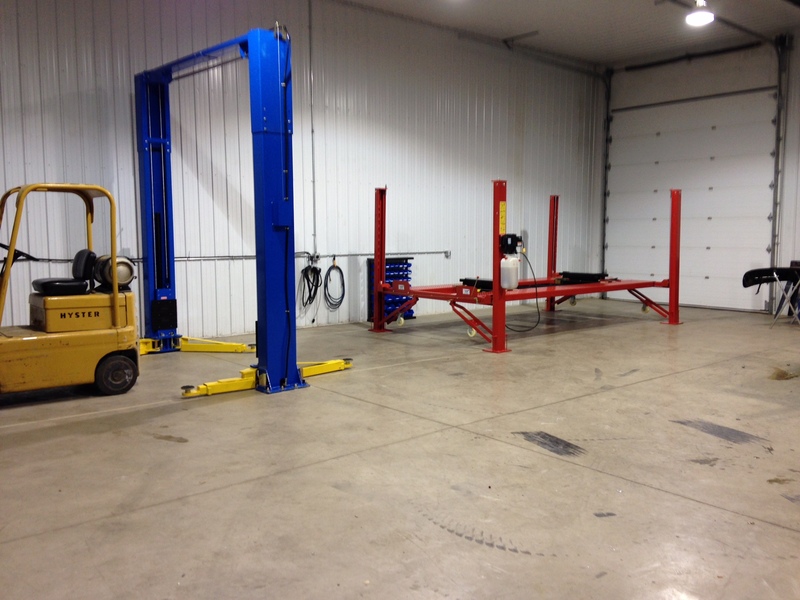 At Lift King, we take pride in covering as much ground as possible, offering a lift for every type of customer. No matter what your needs, a Lift King produce comes with zero compromises in quality or customer service. Take a look at our 2 post lift selection to find your match today!